I hate potato salad. I think it's mushy and squishy . . . and not in a good way. So I was hesitant to test this recipe for Food52 but thought I should get out of my comfort zone. 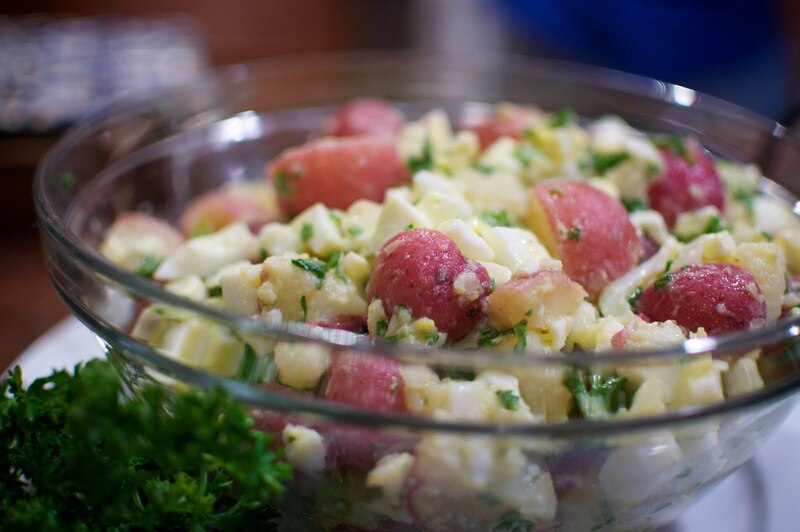 Thank you 'Oma' wherever you are, for creating such a great classic potato salad. 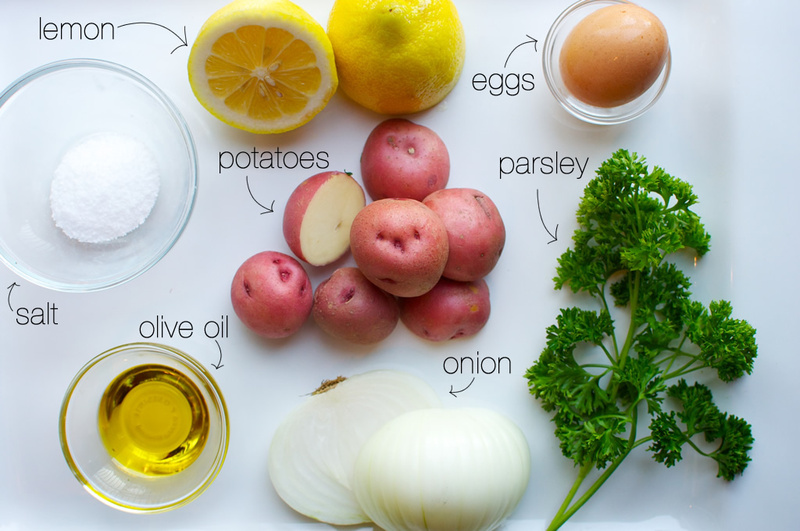 Think less mayonaise, and more chunky potatoes with a zippy tang. Delicious actually. 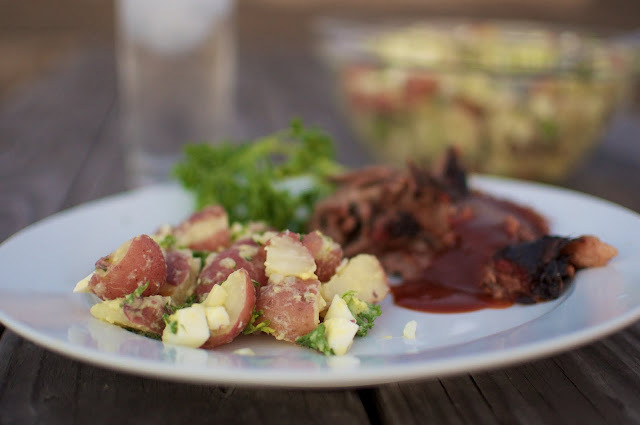 A perfect side dish for summer barbecues. Check out the full recipe.